The original map is made up of a series of 9×5 inch (23×13 cm) panels of which nine are shown here. 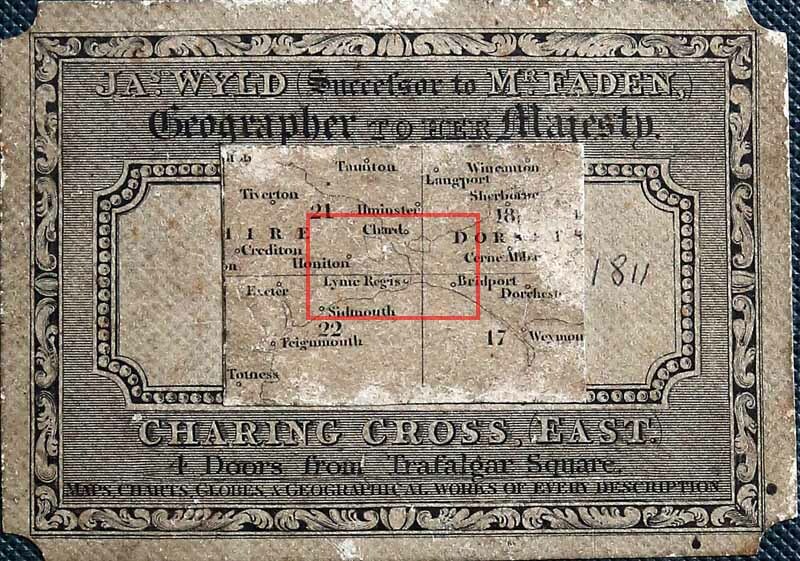 The map used is a composite of four original map sheets: 21, 22, 18 and 17 (the NW, SW, NE, SE parts of the map) as shown left (click to enlarge) where the red box shows the approximate area covered by the main map. There is a vertical join down the map just right of center where the original maps sheets have been glued together and a small sliver of detail is lost (which unfortunately includes part of Charmouth). The original sketches used in the preparation of this map for the Charmouth area can be found here (new window opens). 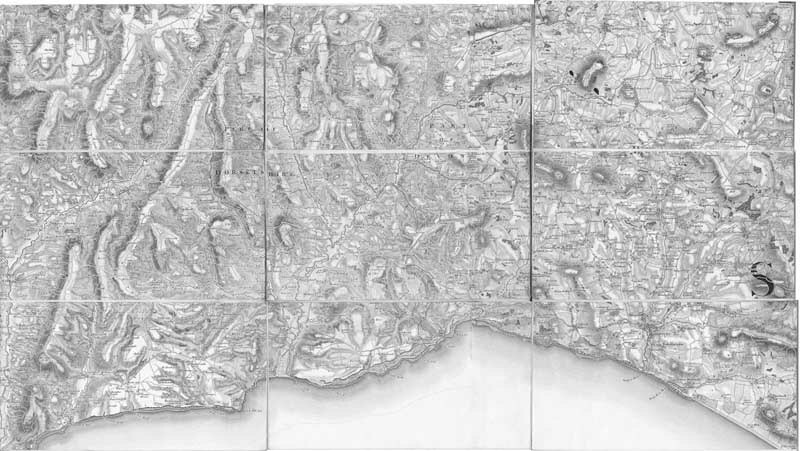 The digital map was scanned from the original at 600 dpi. This is quite a large map and can be slow to load but it is well worth viewing as it shows the cartographer’s craft at its best.